On arrival transfer to hotel,Overnight stay at hotel in Kathmandu. Morning connect Flight from Kathmandu to Chitwan Upon arrival proceed for check-in at hotel.After lunch proceed for Elephant back safari to the Chitwan National Park.This sub-tropical wildlife park covers a widespread flat lowland area in Nepal and houses different plants and animal species. This park of Chitwan has a long history. In the past, this park used to satisfy the kings' quest for hunting. 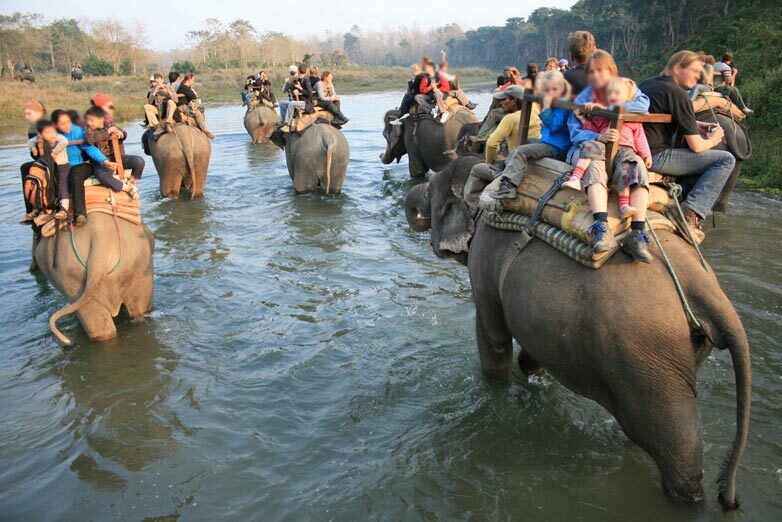 In 1984 Chitwan National Park was declared a World Heritage site by UNESCO. Some of the animal species that can be seen roaming around the park are Royal Bengal tiger, Gangetic dolphin, One-horned rhinos, Golden Monitor lizard, Wild Asian elephant, Gaur, elephant and Gharial crocodile. Dinner with Tharu Stick dance programme.Overnight stay at Resort in Chitwan. Full day enjoy Canoe ride, Birth watching with the naturalist. Evening free at leisure for independent activities.Overnight stay at Resort in Chitwan. Morning you would be driven from Chitwan to Pokhara (205 Kms, 06 Hrs). On arrival proceed for check-in at hotel, Afternoon enjoy boat ride on Phewa Lake which is the second largest lake of Nepal and the largest lake of Pokhara Valley. It is situated at an altitude of 784m at the western edge of Pokhara city near Baidam. It covers an area of about 4.43 sq km with an average depth of about 8.6m; maximum water depth is 19m.Overnight stay at hotel in Pokhara. 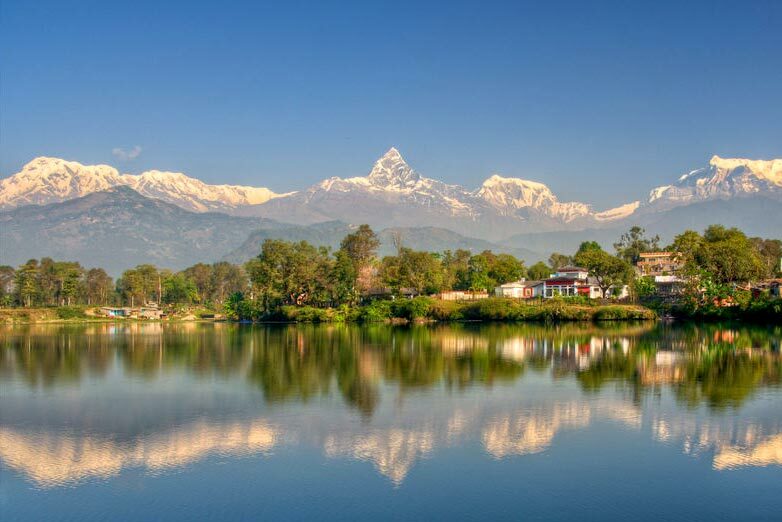 Early wake up,Drive to Sarangkot for viewing the mountain & Sunise.Pokhara an enchanting natural paradise proffers a heavenly beauty and serenity for the inquisitive travelers. The Valley is the home of a numbers of lakes including the most renowned, Phewa Lake. Pohkara is famous for its amazing views of the Annapurna range. This place has simple natural scenery that affects you at the very first glance. It is considers as the place of natural wonders and complete relaxation.Proceed for sightseeing visiting Tibetan Refugee Camp, David's fall, Bindabasini temple and short visit to Seti Gorge.Evening free at leisure for independent activities.Overnight stay at hotel in Pokhara. Morning connect Flight from Pokhara to Kathmandu ,Upon arrival you would be transferred to your hotel & check-in,Afternoon visit Patan city. This city is full of innumerable pagado styled temples. It is also Known as the center of metal works and crafts. 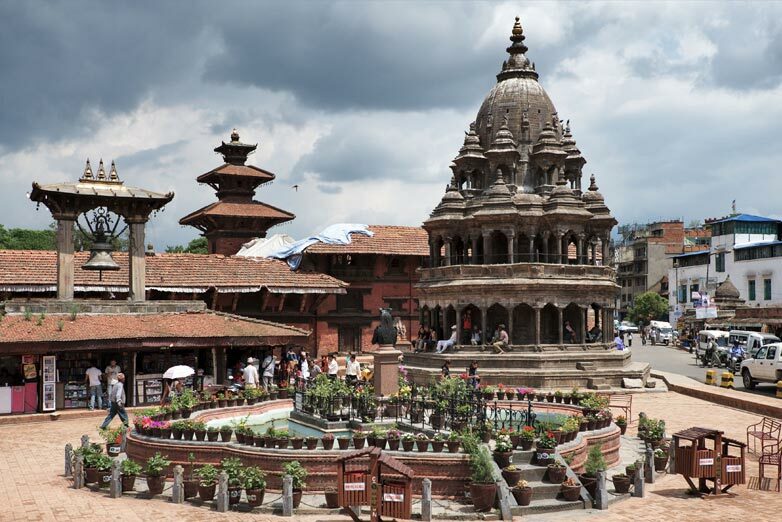 Darbara Square: Is located in the heart of the Patan city is the most popluar historical place. The square is full of ancient temples and carvings. The ancient royal palace which consists of three different courtyards, Mulchowk, Sundari chowk and Keshab Narayan Chowk is the exquistite example of Nepalese art and culture. Golden Window: This richly intricated golden window is the rare architecture in the kingdom of Nepal. A similar dazzling window can be seen nowhere in the country and even in the world as well. A visit to this place is noteworthly. And also visit Refugee camp. Drive to Nagarkot, upon arrival proceeds for check-in at hotel,Nagarkot, Among all the places for mountain viewing in the Kathmandu Valley, Nagarkot is usually considered to be the best. The views go from Dhaulagiri in the west to Kanchenjunga in the east. On a clear day you can see Mt. Everest. Nagarkot is 32 kilometers east of Kathmandu, on the northeast edge of the Valley at an elevation of 2,175m. Evening enjoy sunset view. Overnight stay at hotel in Nagarkot. Early wake up, Enjoy the panoramic view of Sunrise & snowcapped mountains, Drive to Kathmandu enroute visiting Bhaktpur, about fourteen Kilometers east of Kathmandu. Bhaktpur means "the city of devotees" in the Sanskrit language. It is also known as Bhadgaon and was founded in 889 A.D by King Anad Dev. The Bhaktpur Durbar Square is in the middle of city. The palace of Fifty Five Windows stand in the square and it was home to many kings of Bhaktpur. Among other monuments in the Bhaktpur are the big bell, the Golden Gate, the five-tiered temple of Nyatapola, the Bhairab Temple and the Dattatreys Squire with its woodcarving and metalwork museums. Afternoon you would be visit at Kathmandu city. Kathmandu is full of temples. It lies in a valley surrounded by high hills. Hanuman Dhoka; Is the Dubar square of the ancient city of Kathmandu. The Durbar ( palace) square itself is named as Hanuman Dhoka . 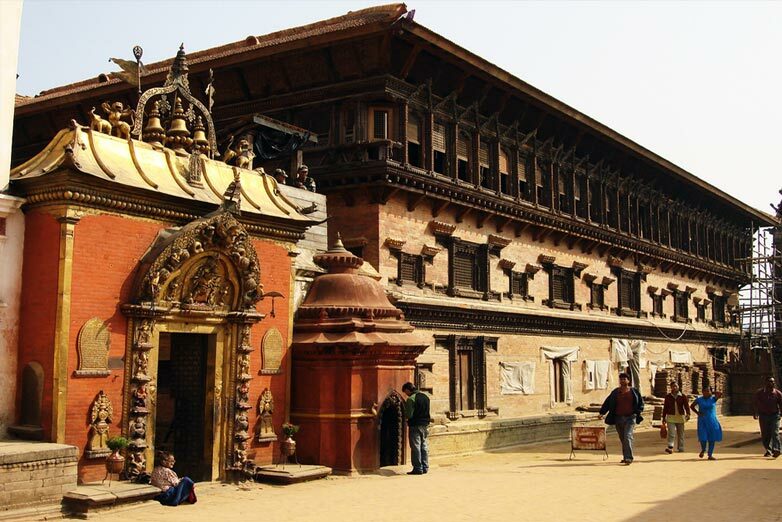 Within the Durbar Square, there is a Three tiered pagado style temple built by King Mahendra Malla In 1549 A.D. The temple of goddess , Taleju Bhawani, is on a Big platform which is considered as one of the most magnificent Temple in Nepal. . In Human Dhoka, there are plenty of things to been seen, as the dreaded Figures of Kal Bhairab, (God of Destruction), coronation platform , statue of king Pratap Malla, Bell and drum. Kumari Temple: The temple of Kumari, the living Godess is located in the vicinity of HumanaDhoka Palace. It has very attractive wooden carved windows and balconies which represent one of the beautiful architectures of the valley. And also visit Swyambhunath Stupa, A golden spire crowning a conical wooded hill, Swayambhunath Stupa is the most ancient and enigmatic of all the holy shrines in Kathmandu valley. Its lofty white dome and glittering golden spire are visible for many miles and from all sides of the valley. Historical records found on a stone inscription give evidence that the stupa was already an important Buddhist pilgrimage destination by the 5th century AD. 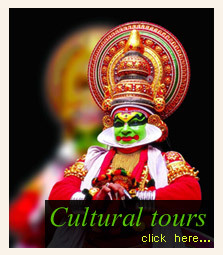 Its origins however, date to a much earlier time, long before the arrival of Buddhism into the valley. The area surrounding the stupa is filled with chaityas, temples, painted images of deities and numerous other religious objects. And if time permits, you will have sightseeing of Boudhnath Stupa lies about 6 km to the east of the city center and is one of the largest stupa in South Asia. It looms 36 meters high and presents as one of the most fascinating specimens of stupa design, which was renovated by Licchavi rulers in the eighth century. The stupa is also known as Khasti and the mandala design on its base is a copy of the one in Gyangtse in Tibet. There are more than 45 Buddhist monasteries in the area, which has become one of the major tourist attractions of Nepal. This hemi-spherical dome that symbolizes the emptiness is remarked as one of the ten world heritage site in Nepal by the UNESCO. Also visit Pashupatinath Temple. Dep in time to connect international flight.